Hello everyone and welcome back to my blog! Sorry I was honest week, I have the flu and it wasn’t pretty lol. I’m better now and back with a new post! One thing I should let yall know is, I’m obsessed with copper things. 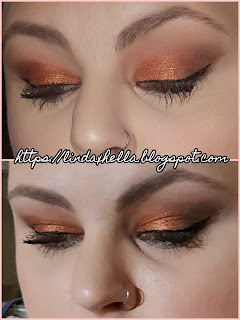 When I discovered I could foil the strip of copper shadow in the Makeup Revolution Vivid Shimmer Brick, I about cried. I was so excited, I looked forward to doing my makeup even more than I had already. This tutorial uses the Shaaanxo palette and one shade from the Makeup Revolution Vivid Shimmer Brick in Rose Gold. Let’s get right into this tutorial! To start out this look I used my favorite eyeshadow primer and set it with the shade Clarity. Going back and forth in the crease I used the cream orange shade called Buttercup, the deepened it up in the outer half with the brick shade Terracotta. To tame down some of the orange, I used Clarity to tone it down a bit. On to the fun part that had me super excited! For the foiled, or liquid copper look I took the copper shade in the Makeup Revolution Vivid Shimmer Brick and patted it on with a flat shader brush, wet with setting spray, on the inner half of my lid. This is what made the whole look! I felt like the outer edge wasn’t popping like it should, so I took some of the shade Silhouette on a tiny blending brush and just deepened up the outer edge. That’s the eyeshadow look complete! I added some liquid liner, waterline liner and mascara along with the rest of my face makeup. Thank you so much for checking out this tutorial. If you liked it, let me know in the comments down below! 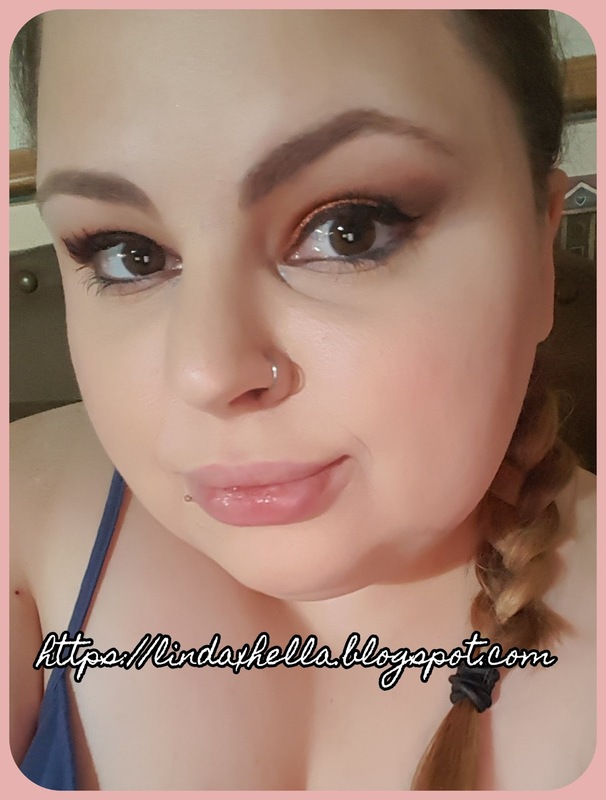 At The bottom of this post you’ll find all of the products I used and my social media links.